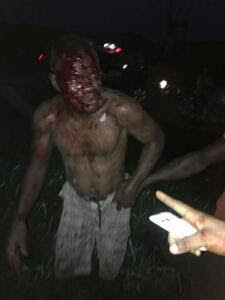 A man who allegedly tried stealing N10,000 and an iphone7 from an early morning traveller going to Lagos in Delta state was giving the beating of his life after he was caught. 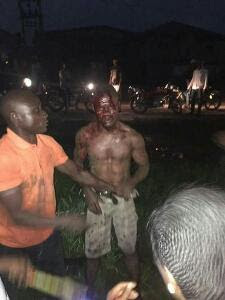 Incident reportedly happened in the early hours of February 1st in front of Cyprian Hotel. See another photo below.